DUST Search - Announcement:Developer Spotlight: CCP Phoenix - Gu Qian! 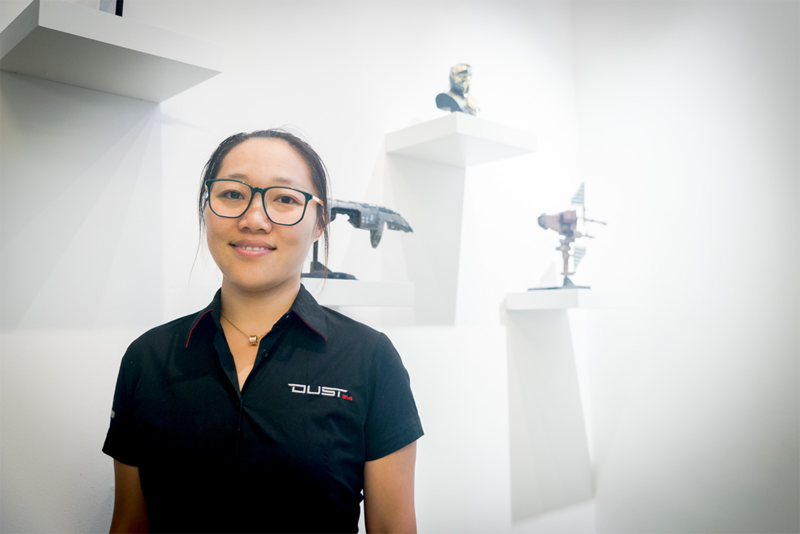 Announcement:Developer Spotlight: CCP Phoenix - Gu Qian! That was a really lively interview. Great read. I'm sure @CCP_Chair will be very please with the info disclosed on the quality of CCP's chairs. Can I have that Minmatar Scout bust in the background? Also, great interview, keep up the work! WON'T YOU PLEASE TAKE ME HOME ! I like her. It's nice to see one of the CCP employees that works hard to fix bugs and her sandwich ingredient seems to be the best one so far. Why does CCP only get magical sandwiches? I do apologize forc the behavior of the people who made the discriminatory thread in GD. Stuff like that should not be tolerated. You mean that bust of me?